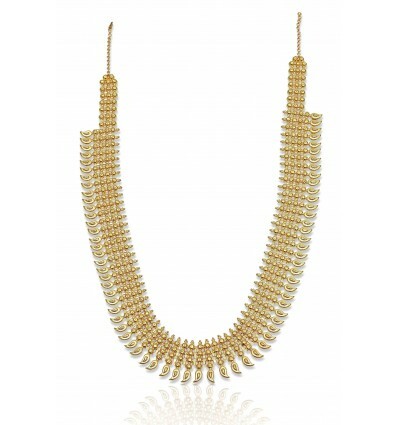 Stunning Ethnik Mango Long Chain for brides. Four Layer ball shapes fixed with attached mango beads. It can used as last Chain in bridal wear or as Hip chain. By buying this product you can collect up to 334 loyalty points. Your cart will total 334 points that can be converted into a voucher of ₹ 66.80.